Introduce a fairer and more efficient way of producing, distributing, and using academic journals whereby the system that currently produces large rents being earned by some commercial publishers is replaced by a mechanism that yields lowest-cost access and widest dissemination by rewarding only those individuals who contribute to making high-quality journals, namely, authors, referees, and editors - with substantial savings for libraries and the academic and student community. ELSSS is proud to announce that its first journal, The Review of Economic Theory, is endorsed by SPARC (Scholarly Publishing and Academic Resources Coalition). Over one thousand economists worldwide have already registered their commitment to participating in one or more ELSSS journals. 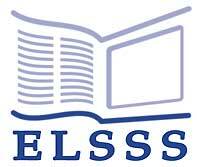 Using the highly innovative ELSSS Publishing Template, authors, referees, and readers will be able to attain new levels of scholarly communication, in terms of quality of research, speed of diffusion, ease of use, and ability to communicate and interact. to adopt and devise innovations that can improve the quality of research as well as the speed and reach of its dissemination. the journal is committed to archiving all its contents in robust and widely supported formats and to make both current and past issues available to subscribing institutions in perpetuity. ELSSS's first journal to be published, The Review of Economic Theory, fulfills all the above criteria and indeed has set the standard to be followed by future journals. Please see our terms and conditions for further information. If you have any suggestions, comments, etc. please do contact us.